German politics is trying to decide who will follow up Ms Angela Merkel now that she’s announced her retirement from politics. As this current government will be her last, the CDU conservative party that she leads needs to prep a new Chancellor. As stated in our coverage of her retirement, only a few of the seven candidates that have stepped forward are to be taken seriously. Ms Merkel would like Ms Annegret Kramp-Karrenbauer, dubbed in the German media as ‘Mini-Merkel’, to be her successor. The 56-year-old former premier of Saarland ruled the German-French border province from 2011 till 2018 and currently has the best chance of becoming the next CDU leader. Related coverage: <a href="https://thegoldwater.com/news/40791-Germany-Merkel-Announces-Shock-Retirement#40800"> Germany - Merkel Announces Shock Retirement</a>. 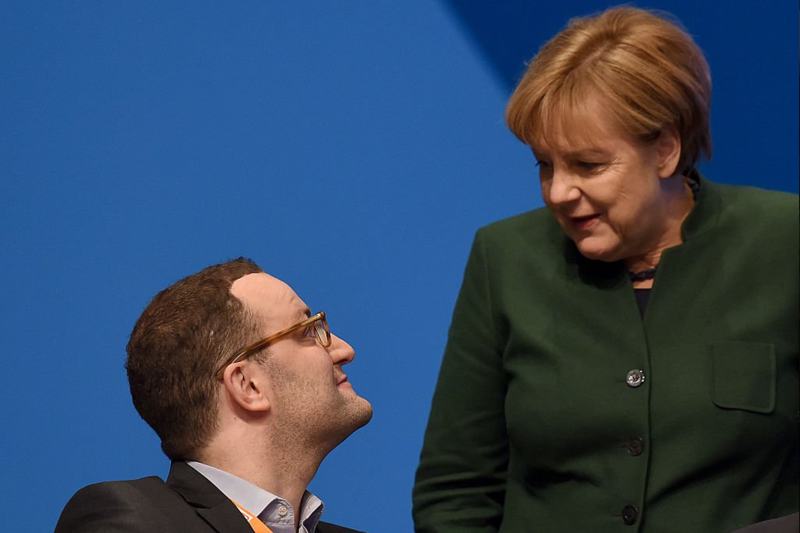 However, Merkel’s greatest critic within her own party, health minister Mr Jens Spahn, is not ready to give up without a fight. Wanting to rethink the ‘social benefits’ system first thought up in Germany in the 1900s, Mr Spahn said: "in the pay-as-you-go system, the elderly receive money from young people — even if they are the children of others." He added that he spoke like someone who was "childless" and "willing to contribute more financially to the sustainability of the system" at a time when it was in trouble. Mr Spahn, currently one of the three frontrunners to replace Chancellor Angela Merkel as leader of the conservative Christian Democratic Union (CDU), said that was how it should be. But he said the amount could "be more. Parents raise future contributors and secure the system for the future." He also called for an honest debate about "how we remain a human society, how we maintain our social institutions, if every third person in Germany is over 60 years old, and less than a fifth are younger than 20?"